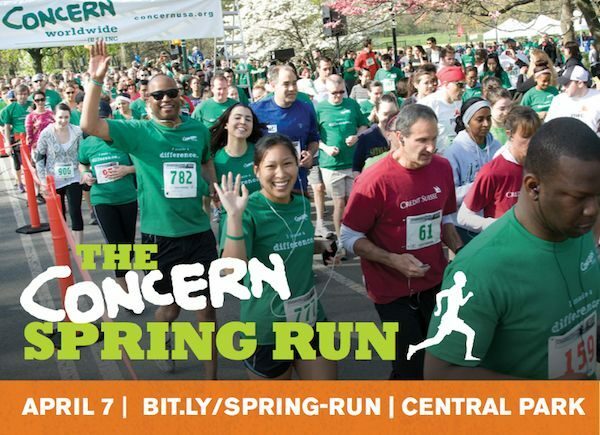 The 20th annual Concern Spring Run takes place this year on Saturday, April 7, 2018 in Central Park. Each year hundreds of runners and walkers kick off spring with a 4 mile Run/Walk in Central Park to raise money for some of the poorest and most vulnerable people in our world. Help Concern reach their goal to raise $100,000 to support their teams on the ground –working in 25 of the poorest countries in the world—continue our sustainable and life-changing programs. The popular the Pub Challenge pits local pubs in competition to see which bar can raise the most funds. The pub that raise the most sponsorship will win prizes. Participating venues include: The Churchill (defending champ), Baker Street & The Wolfhound. There are also challenges for top fundraising male & female, Corporation & Family/friends. See rules here. East Drive at E. 102nd St.